Tumble down the rabbit hole and find yourself in an inky black-and-white wonderland. 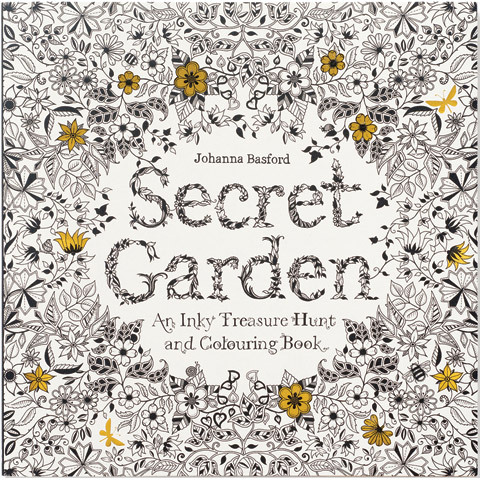 This interactive activity book takes you on a ramble through a secret garden created in beautifully detailed pen-and-ink illustrations – all waiting to be brought to life through coloring, but each also sheltering all kinds of tiny creatures just waiting to be found. There are also bits of the garden that still need to be completed by you! Appealing to all ages, the intricately-realized world of the Secret Garden is both beautiful and inspirational.